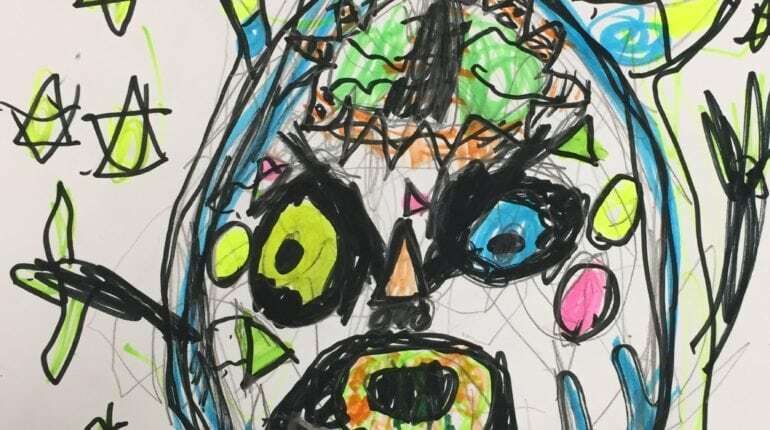 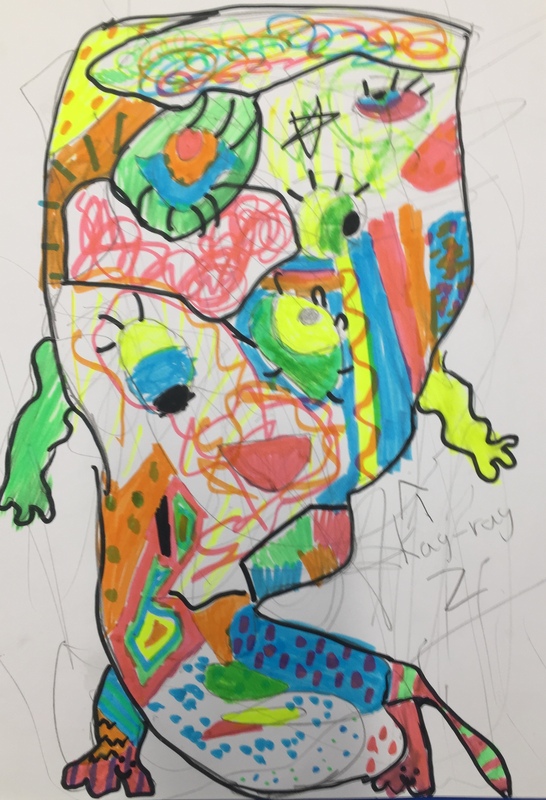 In Art Club over the past two weeks each week has focused on a different artist, here you can see the pupils fantastic work they have created. 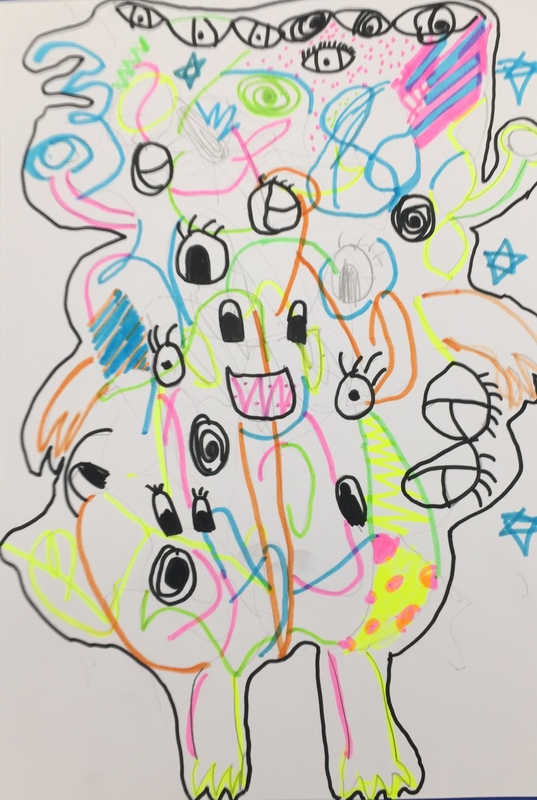 We used automatic drawing (shutting our eyes and using our “wrong” hand to scribble without looking). 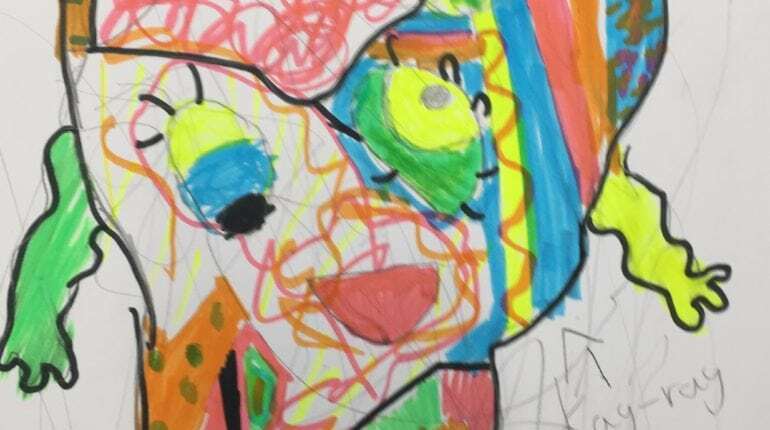 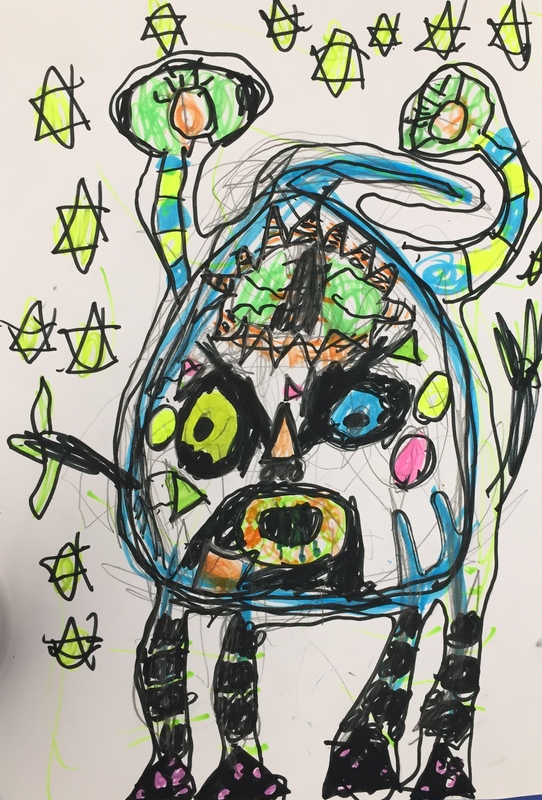 Then we looked at art by Joan Miro and added Miro style eyes to our scribbles. 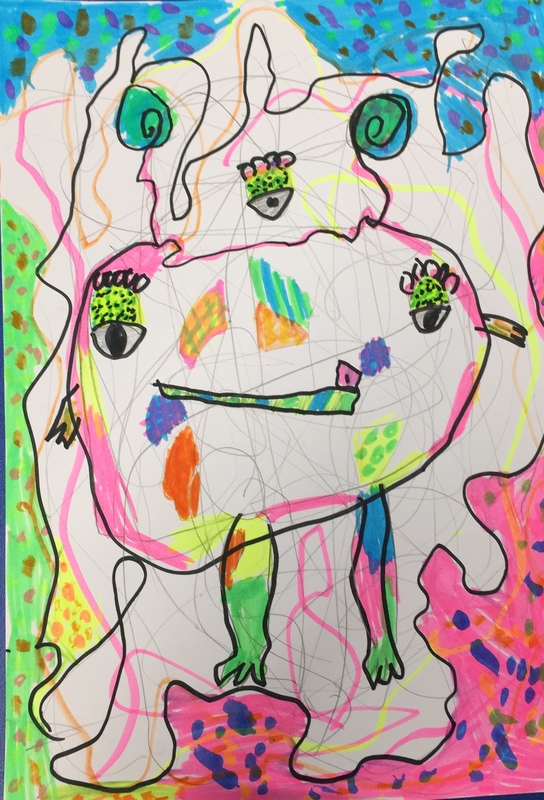 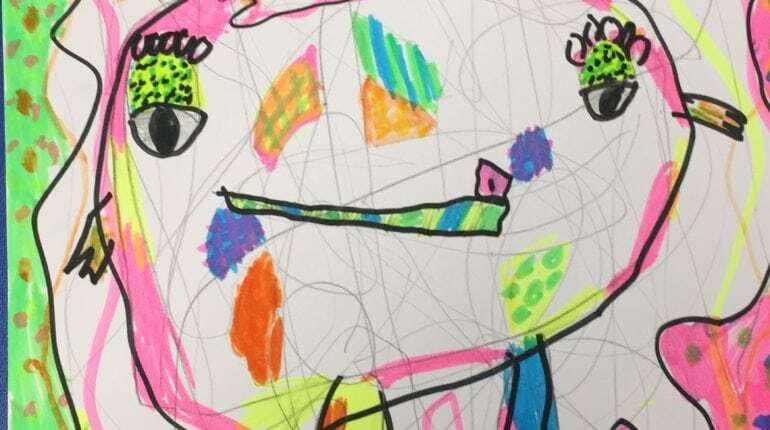 We added hands and feet and then used highlighters to colour our aliens in. 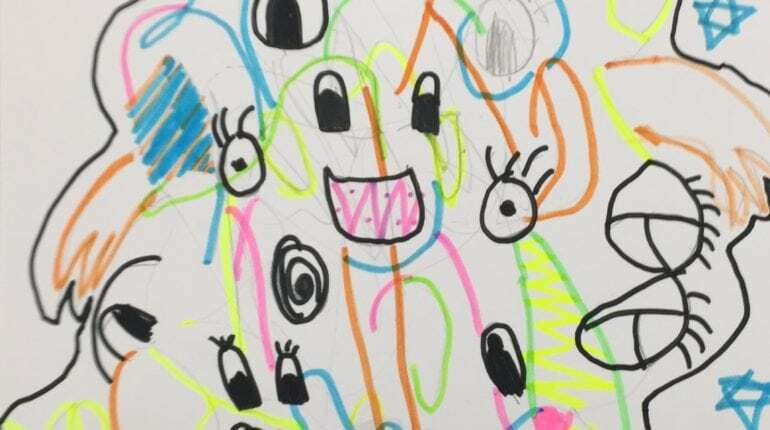 Black pens were used to finish off outlining. 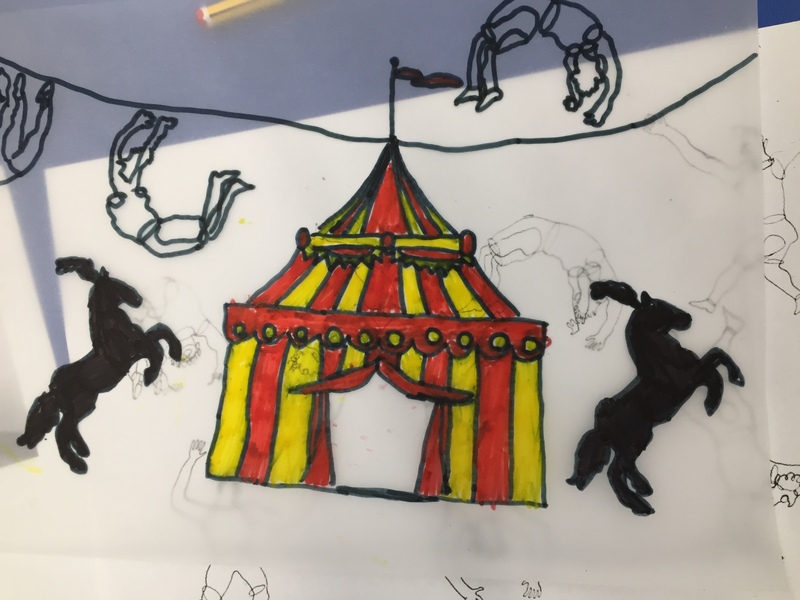 Today we looked at Alexander Calder who is famous for drawing with wire. 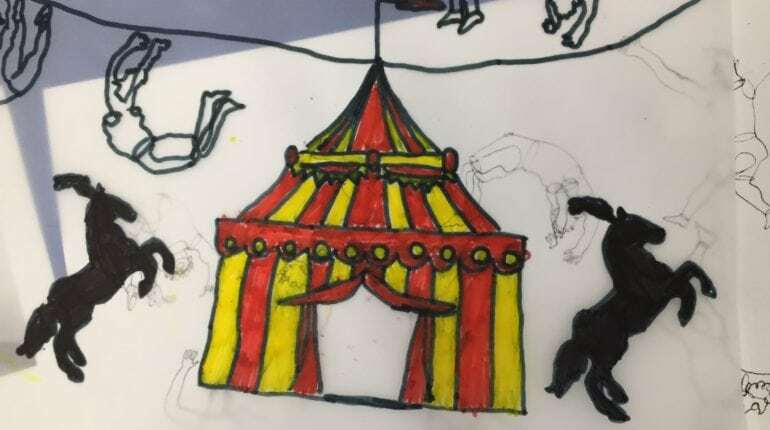 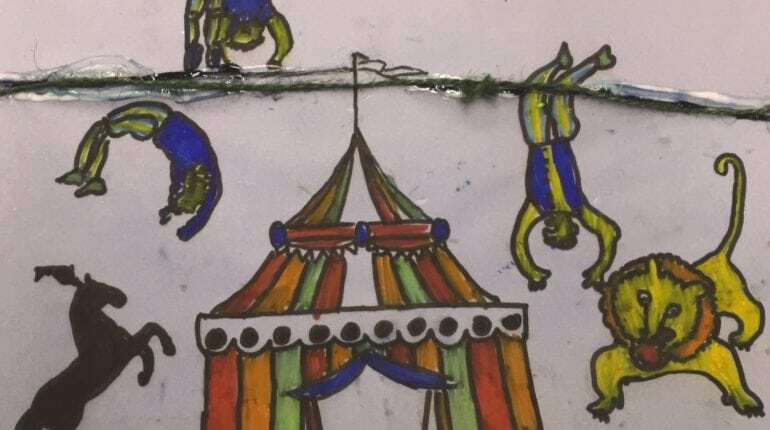 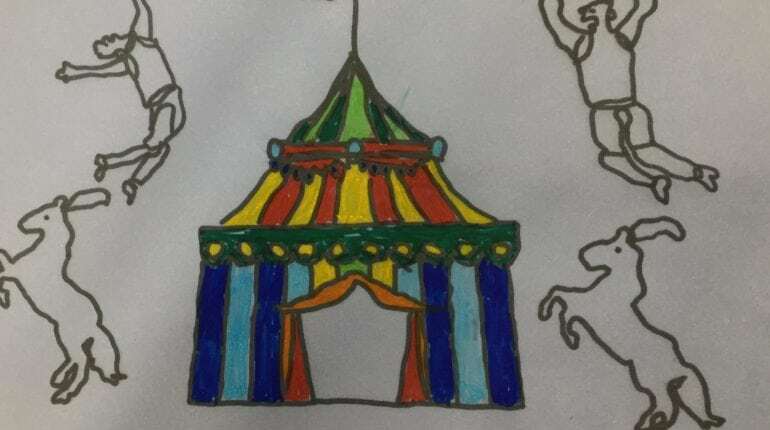 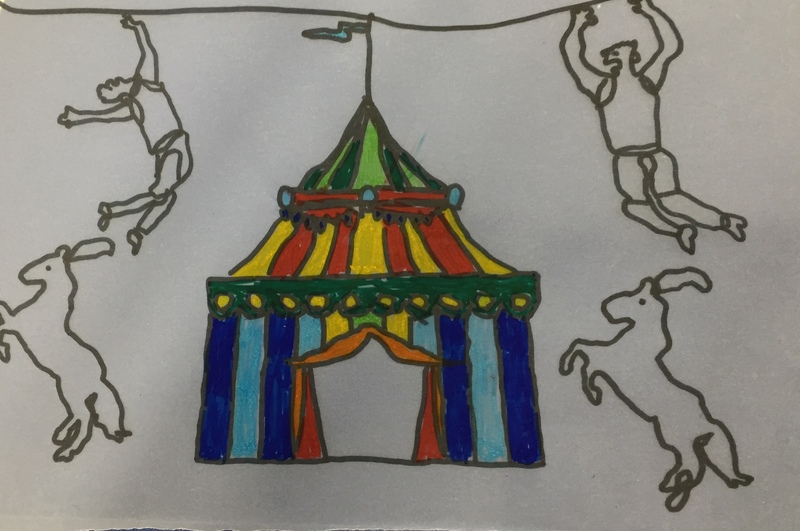 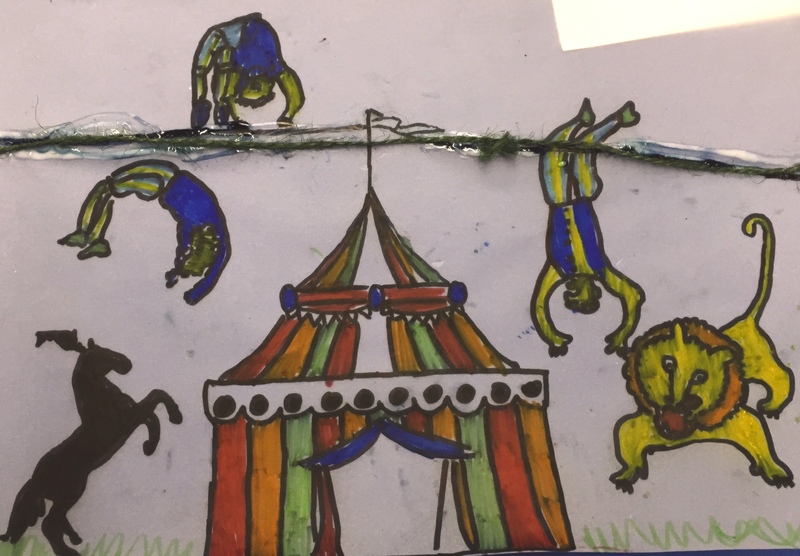 We used tracing paper and black pens to trace some circus images. 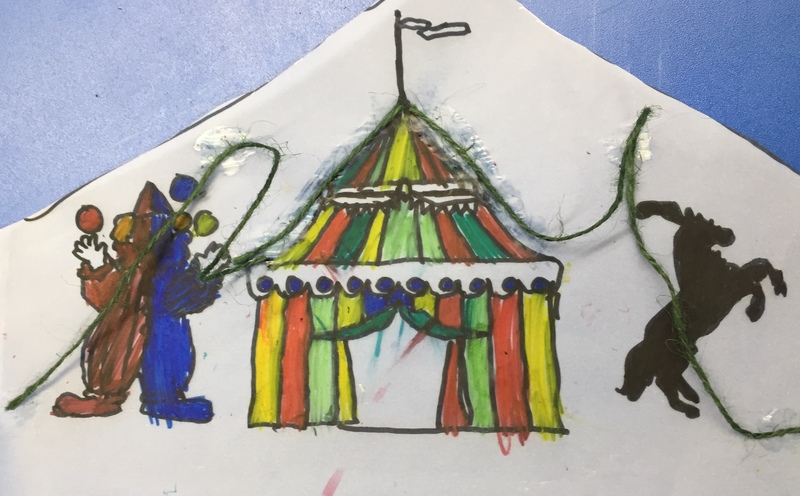 We then used colour markers, string and PVA glue to recreate some of the lines in string.